A medium size estate Dehu pere & Fils basking in the early morning sun in Autumn! The Dehu family have been vintners since 1787. 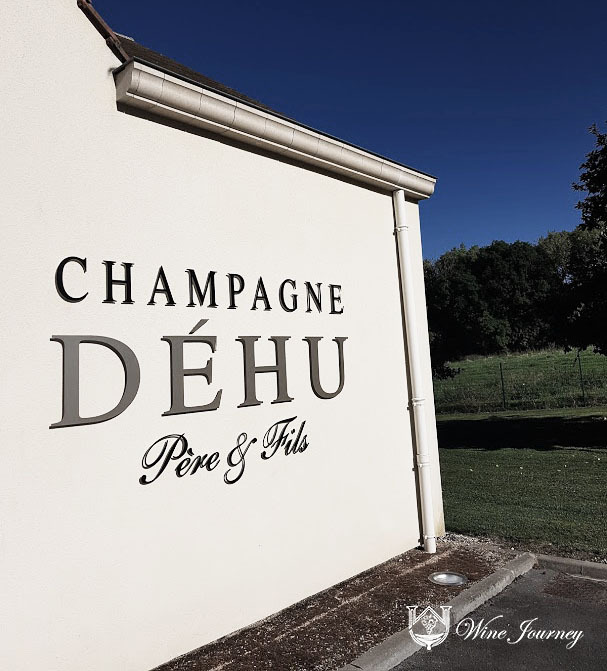 They cover more than 10 hectares of Pinot Meunier, Pinot Noir and Chardonnay.Benoit Dehu, former Bollinger’s Paris sales representative, now runs the family winery The Vineyard. 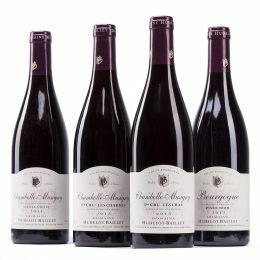 The soil: The limestone soil and a high proportion of Pinot Meunier makes for finesse and fruit. Natural Cultivation: The Dehu family are strong believer in natural methods of cultivation. They joined the FARRE association (integrated farming label) in 2002, use organic compost and work for low yielding. Winemaking: Harvest is done manually; cold racking; alcoholic fermentation in oxygen / thermo-regulated tanks with 3 years (or more) ageing on fine lees. 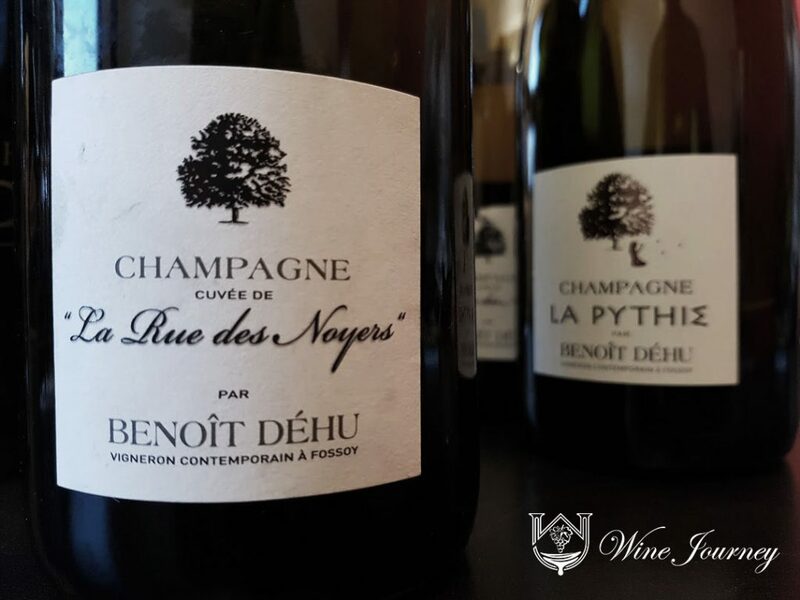 Benoit has since taken the route of single parcels, creating ever so fruit and terroir-driven wines and becoming another star wine marker in the popular Pinot Meunier circle. 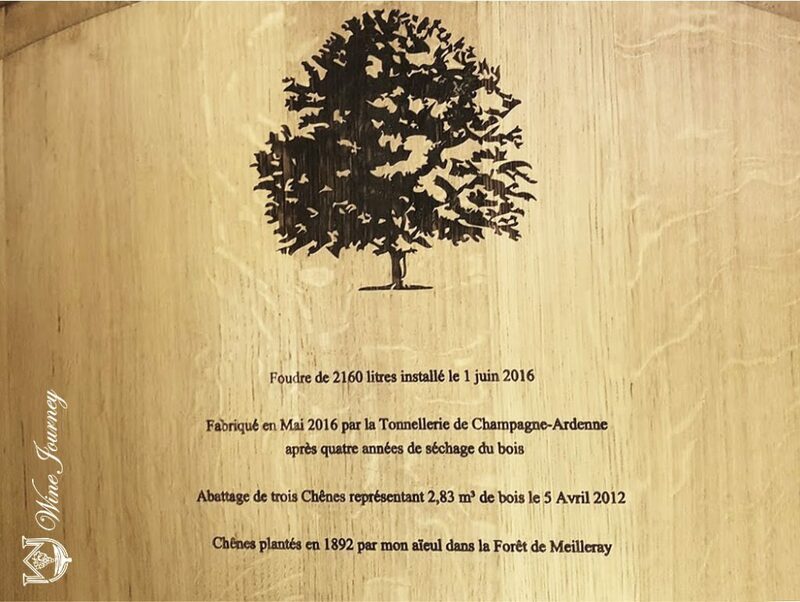 Benoit speaks fondly on the conservation of natural resources, with the Oak barrel used from nearby forest, as well as the paper used for the label are from nearby trees! This is produced from a single parcel, with it’s name relating to an old plantation of walnut trees. The vines are cultivated according to the lunar calender and with the utmost respect for nature. The wines are aged in barrels on the less for 11 months. Unfiltered, there could be some deposits when you taste the wines. Only two barrels of this wine was produced. Benoit shows great energy in describing the all the fine details of wine making. 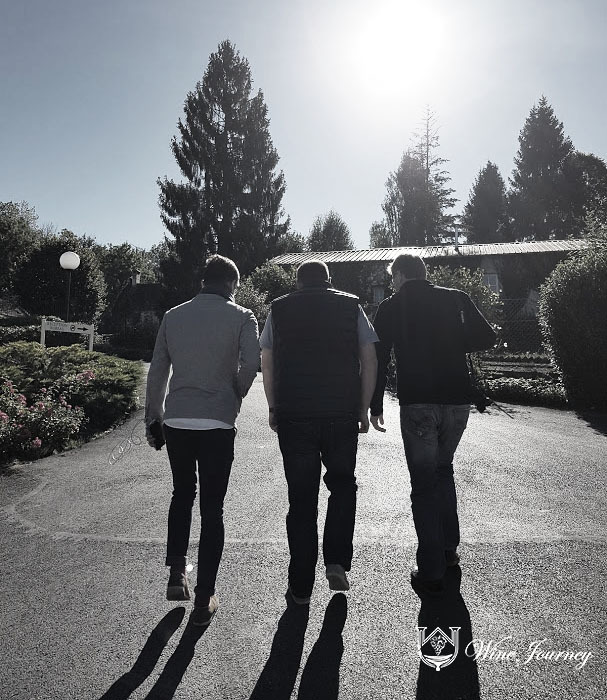 The Wine Journey team walking with Benoit, contemplating what we can do with just two barrels of bubbles. 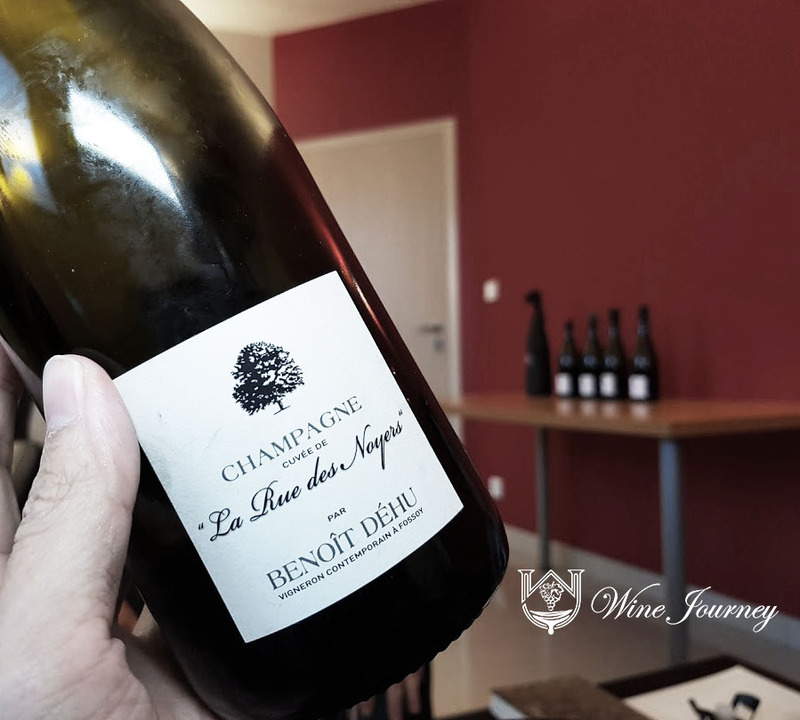 Grab yours while you can, as Wine Journey is the exclusive distributor/importer for Champagne Benoit Dehu in Singapore and Malaysia! 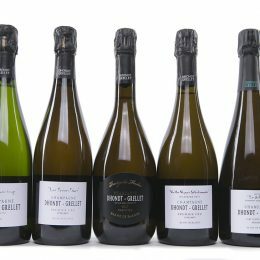 Fans of Pinot Meunier do check out Champagne Jerome Prevost and Champagne Emmanuel Brochet!